Iceland stole my heart like a thousand Arctic ponies galloping through lush fields, pollinating flowers under a midnight sun. Shifting into first, off the grid I went. Solo, without a map, GPS, or cell, to ensure I could survive without assistance. 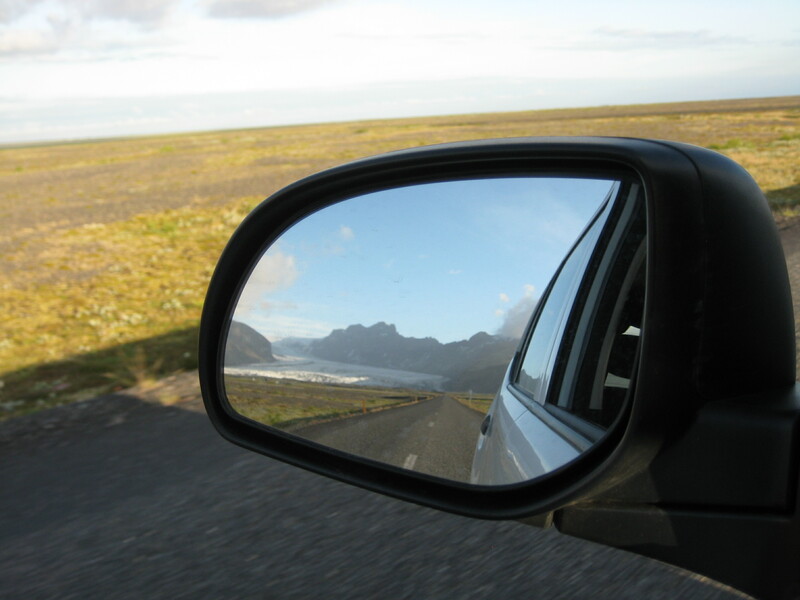 Heading north on Route 1, adrenaline delivered me to Akranes, IS, the northern most coordinate I have stood. Pristine air kissed my skin through open windows, as ears absorbed intonation of the dialect via a local frequency. When sleepy I dove into the back seat, slithering under my 20 below bag, my 4 star wheel accommodation, mastering an L shaped slumber. Landscape unlike anything I have seen, water appeared in various elements; glaciers, clouds, waterfalls and boiling streams. Nothing was in English, translating best I could, I threw concern out with my banana peel. Restrooms were sparse. 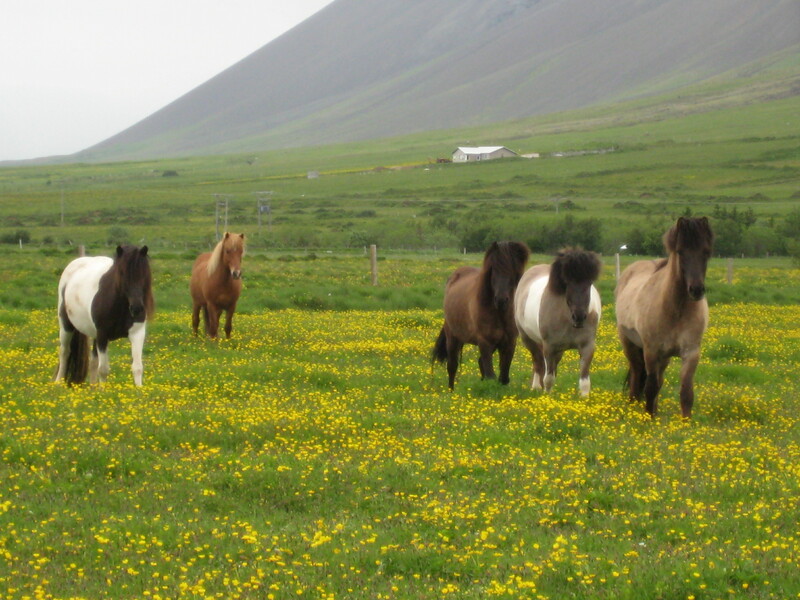 Icelandic ponies stood in green pastures, hooves surrounded by yellow flowers, manes blew in the wind like a summer calendar. Dark jagged cliffs the background, opposite the blue Atlantic. Distracted by equine love, capturing them close on digital, a brown beauty clamped his teeth onto my ring finger. Inhaling nervously I looked at the damage, thankfully just a nibble. A roadside map lacked a key, requiring Pictionary skills to decipher a tunnel, returning via an alternate route. 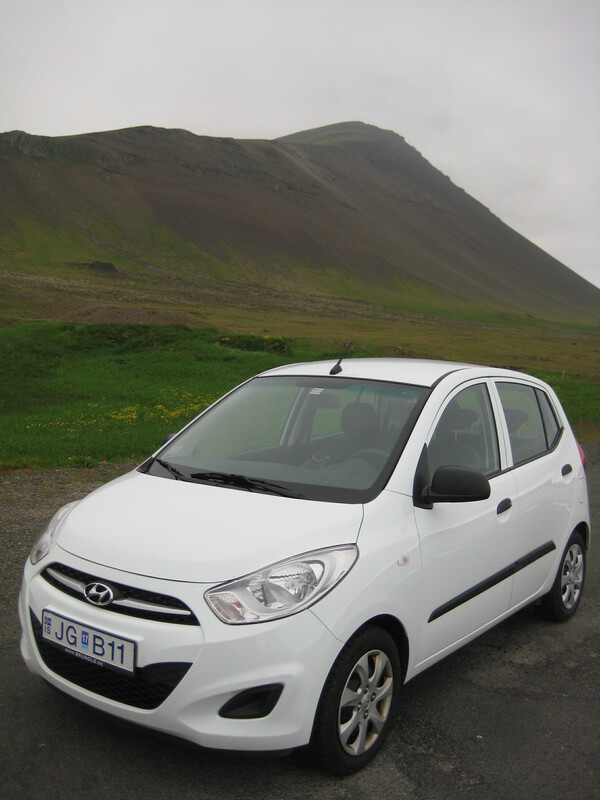 I could have been sipping Brennivín in a hotel, but renting a car was absolutely priceless. Signage advised not to harm vegetation, so I hiked a designated trail alongside locals as if in a Patagonia commercial. Soles caressed the soil as senses inhaled natures aroma. Heading uphill, my heart opened as birds sang and scenery motionless like National Geographic. White flowers matched snow capped peaks, making me miss skiing which stung like a bee. 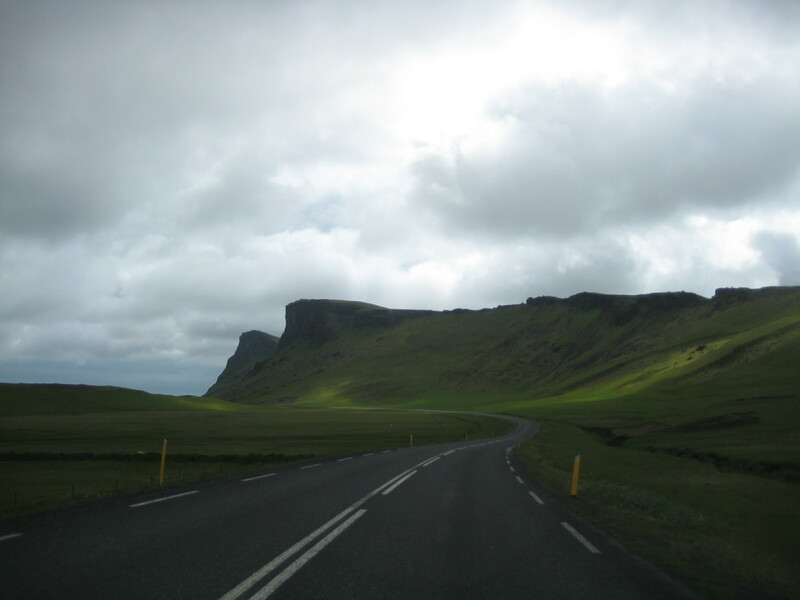 Heading toward Vik, more so than stunning surroundings, my awareness turned inwardly to how peaceful I felt. Perhaps a result of holiday exploration, but it felt incredible allowing my heart to lead a self guided tour. The only maps I used were ones roadside. My only challenge was keeping track of the days, as June nightfall did not darken as I am accustomed. Zeppelins’ “Immigrant Song” ran through my head as kilometers in the odometer climbed, exceeding 1200. Headlights unnecessary at midnight, allowing round the clock exploration. I ventured without rules, an alarm, or itinerary. You could drive nearly half a day before passing a store or gas station. Just myself, an open road, a journal, camera, and a roll of toilet paper. The only glitch; Visa is NOT accepted everywhere. Most petrol stations only accepted cards with an associated pin, and N1 stations that sold prepaid cards were not always open. 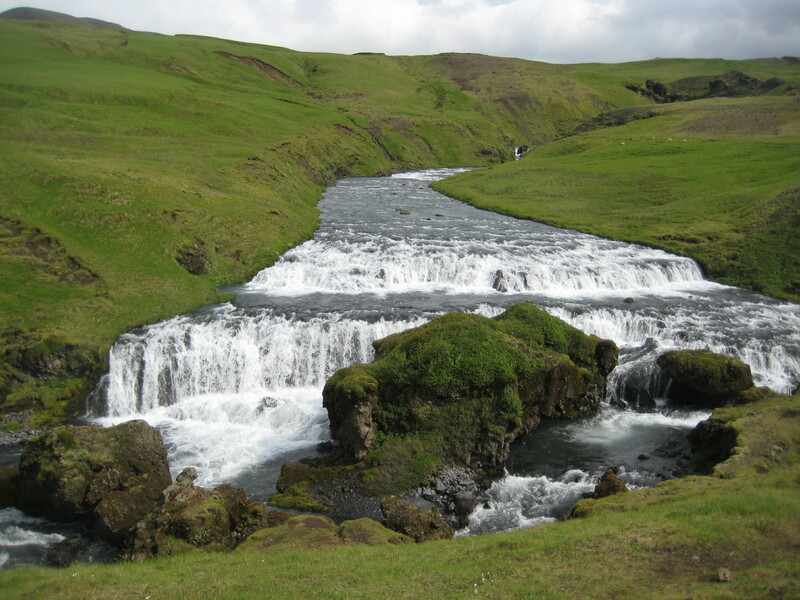 Waterfalls fell soft as paint from ledges behind farmhouses. 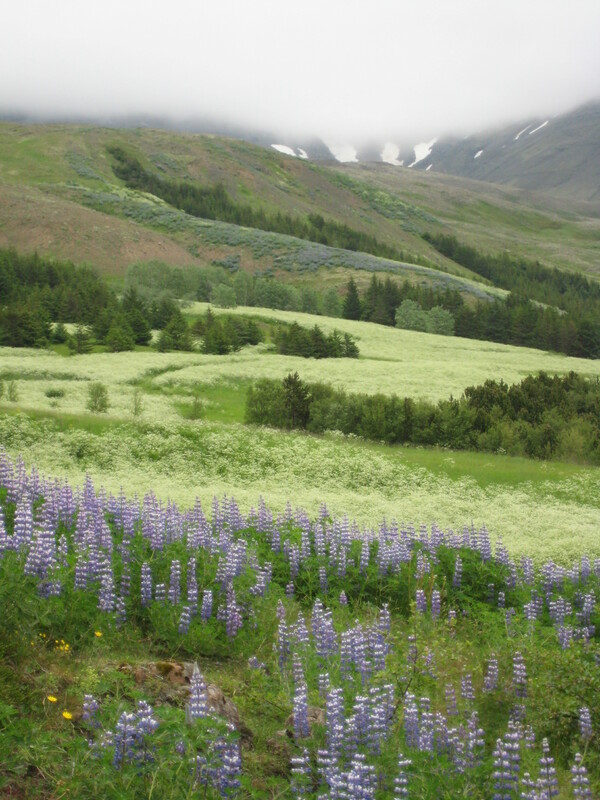 I washed my hair roadside in falling rainwater, and sat mindfully in a field near Lupine and lambs, taking it all in. My body relaxed in a blue, hot geothermal spa, with a natural silica mud mask, shower massage and swim up bar. 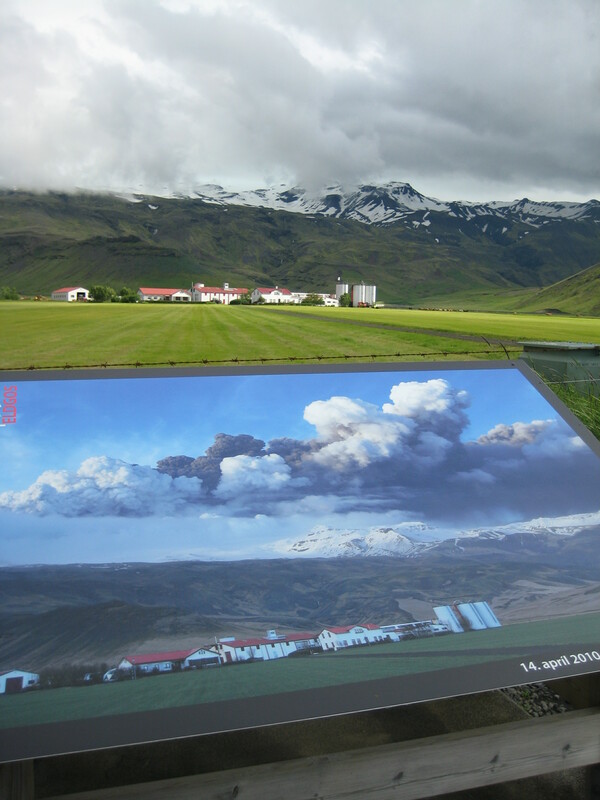 I slept near the farm under the volcano Eyjafjallajökull that erupted in April 2010, in a rental without insurance. I adored the language and giggled at lengthy signage that used most the alphabet. 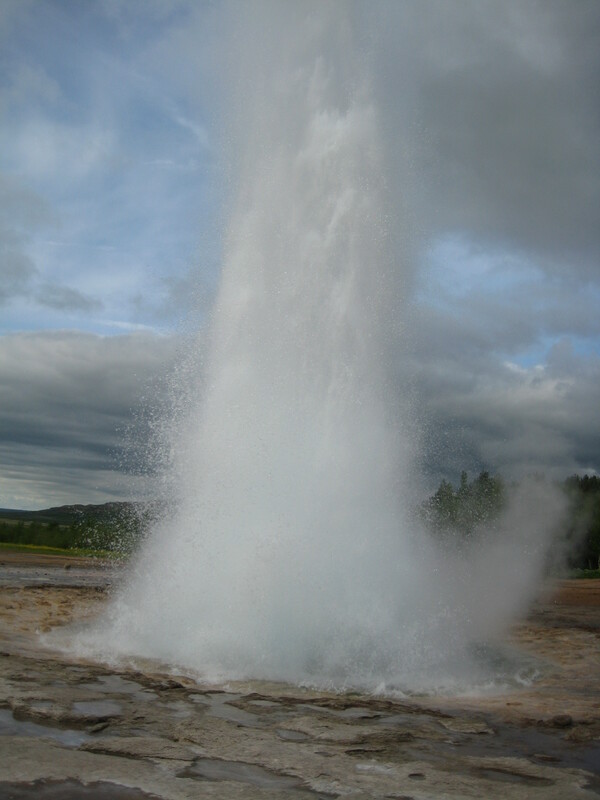 I picked up a hitch hiker from Lithuania, placed my toes upon a black volcanic beach, touched handmade Icelandic wool sweaters, and saw the Strokkur Geyser erupt. 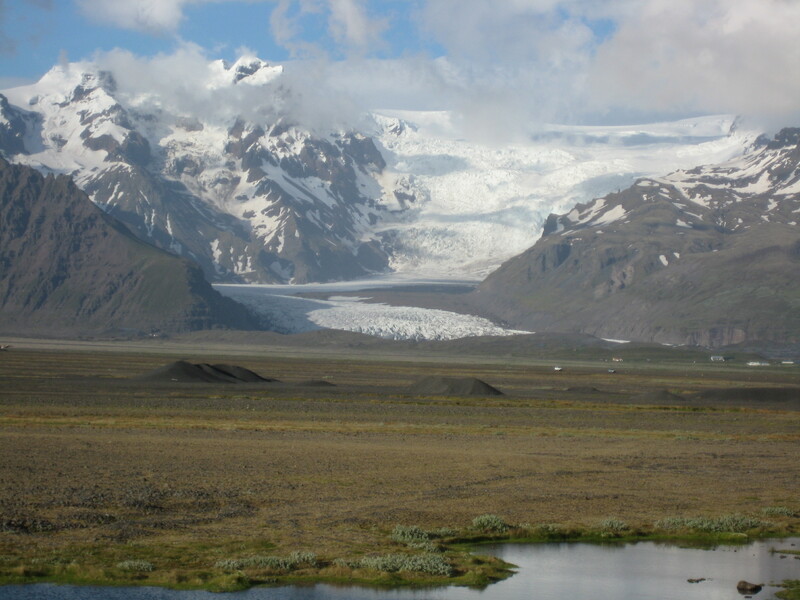 I drank fresh glacial water and viewed Europe’s largest ice cap, Vatnajokull. I witnessed the sun set upon moon-like surfaces, and counted more sheep than peeps. 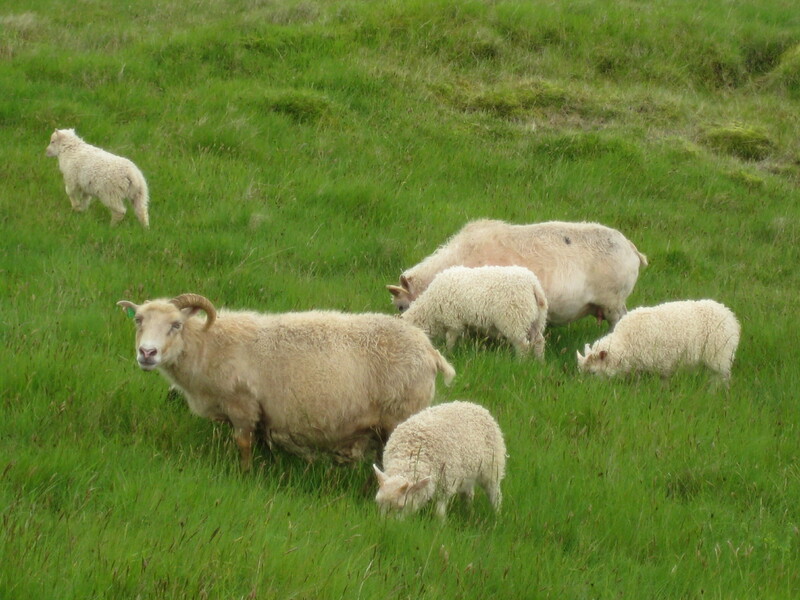 I watched the worlds happiest free range animals in gorgeous farmland with rock formations and grassy rooftops. I felt safer there without a roof, than in my own country. It’s rare to feel inconvenienced being human versus an animal, but it felt as refreshing as showering in cool natural rainfall. 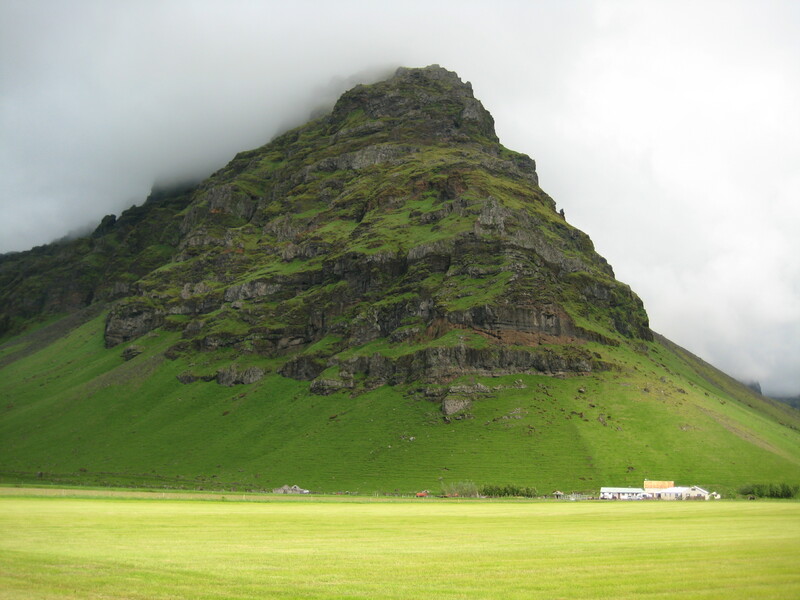 Nature came first in Iceland. Most the inner island was prohibited to drive in a rental. Natural wonders did not charge entrance fees, nor sell plastic souvenirs. I waited for sheep to cross roads, not red lights. I could feel the energy of the animals frolicking. 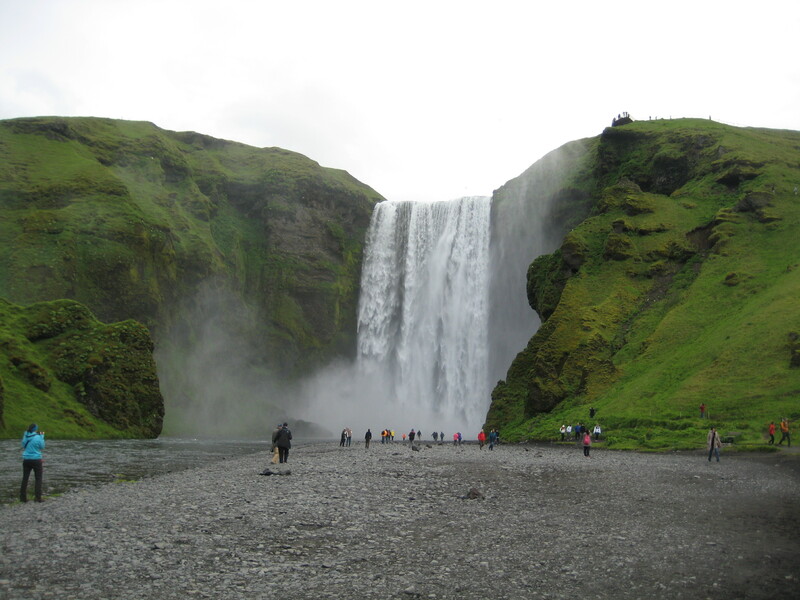 Fresh air equaled the taste of glacial water. I walked into the mist under Scogafoss, smiling wider than its girth, moisture rejuvenating my face, losing myself in the moment. 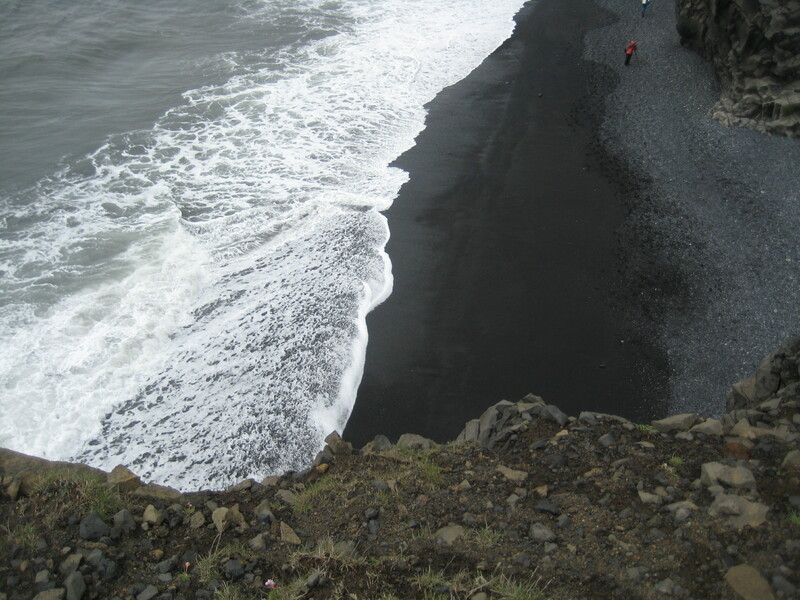 Iceland blew me away by her beauty, diversity and vastness. I hope she will remain protected as when I visited, the sixth month of 2014. It was heartbreaking to see Vatnajokull with a brown gap between the white, as if flashing for awareness, like an avalanche beacon. Such a wake up call. I perched upon a rock envisioning how it used to look. Never before have I felt such sadness for nature as I did sitting before that brown patch between Europe’s largest glacier, like a cut lacking a large enough band-aid. Seeing this with my own eyes awoke awareness of our human effect. What a personal memo to return home and try my best to help preserve our beautiful earth. You are amazing Jenny Jenny. Iceland and your words are as beautiful as you are. Love you! Thanks for reading and editing, Mom! I love that you and Dad enjoy meals together on the porch, now that he is retired. Amazing descriptions…felt like I was there. Thanks for sharing Bean! Awesome! Thanks for taking the time to read my post, Scott! Hope you are doing so well. Please ~ Contact me. Its one of my dreams, too! Fantastic descriptions make me want to speed my trip up! Great photo’s ! LOve to get some insight from you and any others!? Crazy Larry, thanks for reading Beans Dream! First off, I read you are recovering from an accident, so sending healing vibes your way. Iceland was absolutely stunning, diverse and breathtaking!! My insight is to go when you get the chance, it’s unlike any place I have ever been, you will have no regrets. You only live once! !